Bonjour mes amis! 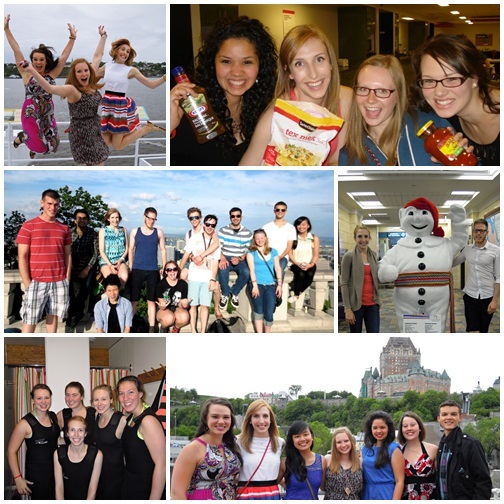 I have just returned from la belle province, Québec, where I was staying at l’Université Laval for a 5 week french immersion program. Don’t be fooled, this trip wasn’t all books and studying (shocking right?). I got to meet the coolest people from all across Canada (and the US) and had the chance to explore the landscape, culture and food that the city has to offer. 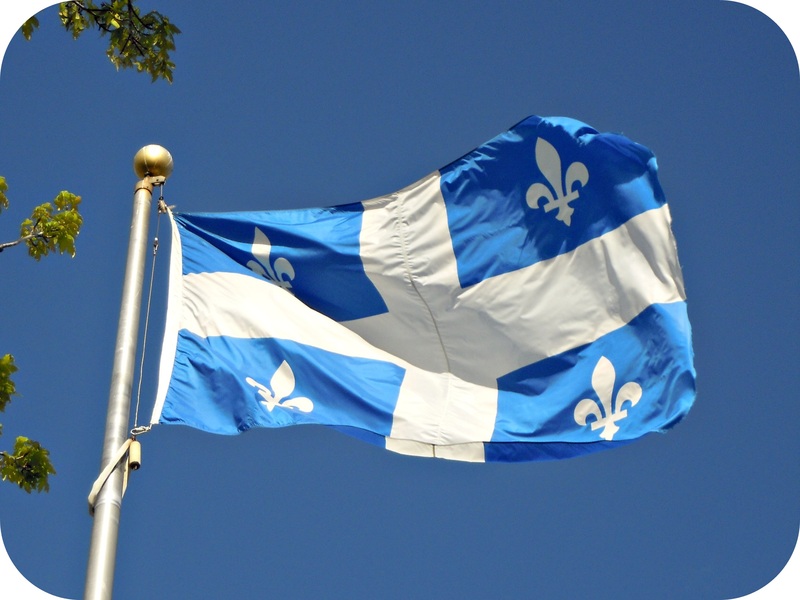 Vieux-Québec! There’s something very special about the old part of the city! Feels just like walking through any beautiful city in Europe. Crêpes! I think I could probably eat a crêpe every day and not get bored. I don’t care if they’re sweet or savoury, I just think they are one of the greatest culinary inventions. My best find on this trip was the crêpe au marron, or chestnut crêpe. If you ever see one on a menu, don’t hesitate to order it! Poutine! I know that you can get poutine in Vancouver and probably every other Canadian city too these days, but let’s face it, the Québécois kind of own the rights to this one, and they seem to be doing it right. I can’t think of many restaurants I encountered that didn’t have some version of poutine on their menu. I tried a lot of different kinds of poutine, and even tried squeaky cheese (yes, the curds actually make a squeak noise when you bite them), but my favourite was the one I tried at the Chic Shack in Vieux-Québec. Bakeries! 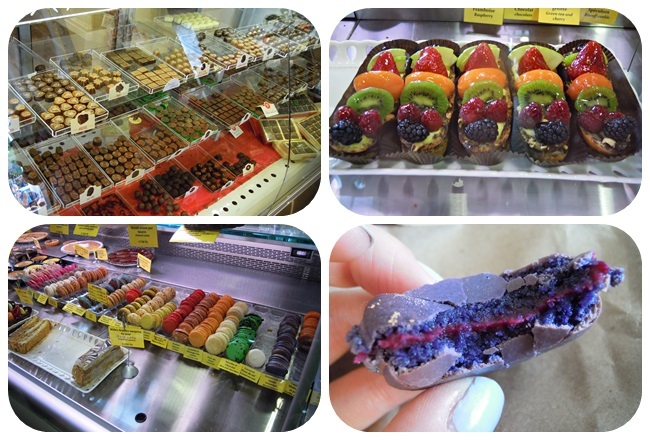 Since Québec City is so much like Europe, it is filled with fabulous bakeries boasting all sorts of delicious pastries, ice creams, macarons, croissants, etc. Among some of the memorable treats I tried were croissants filled with marzipan, carrot cake macarons, and geranium black currant macarons. Ice Cream! I’m not normally a huge ice cream kind of gal, but I definitely had my fair share of crème glacée on this trip, and for good reason. There are a number of little ice cream shops that do the most amazing chocolate-dipped cones. Just think Dairy Queen on steroids. The best place was “Chocolats Favoris” in the town of Lévis. They had about half a dozen ice cream flavours and 12 different chocolate fondues. I had to make a second trip there just so I could try out another flavour. Maple! The Québécois are extremely proud of what their maple trees produce and rightfully so! Maple syrup, maple butter, maple candies, maple ice cream, maple cookies, the list goes on and on…I think I will have to make some maple cupcakes again soon! Mes Amis! I was so lucky to meet the coolest group of people participating in the Explore program avec moi. Right off the bat it felt as if we had known each other for years. Thank you all for the many laughs and “bon temps,” and of course the incentive to travel across Canada to visit you all in the future! Let’s not wait too long for a reunion! A bientôt!